Swatch introduces its Spring Summer 2018 collection, which dives into the great outdoors, taking the party from garden to the street before soaking into the sea. 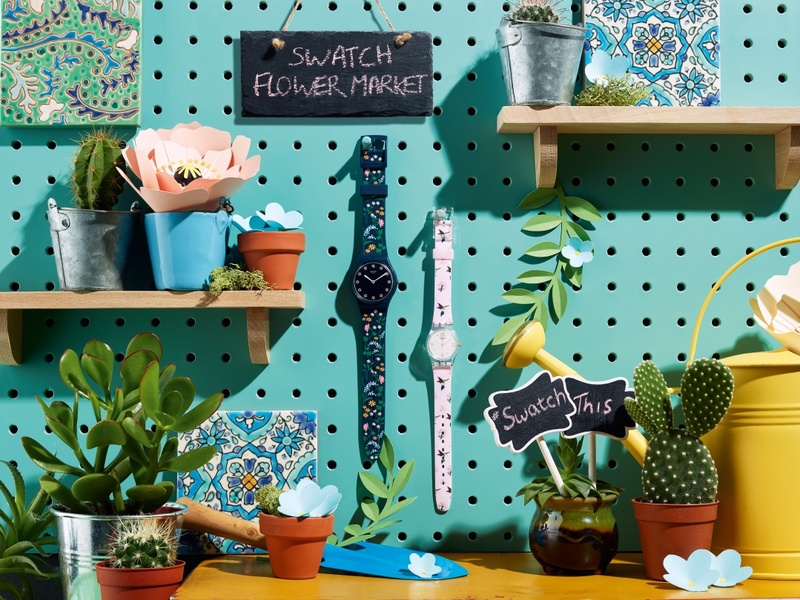 Three different designs that reinterpret the world with languages of their own - Brit-in, The Swatch Vibe and Mediterranean.. The Brit-in collection brings you to a fantasy picnic with the Queen and it features floral patterns that are in full bloom, exotic frill meets daringly dashing and 5 o'clock calls for tea. 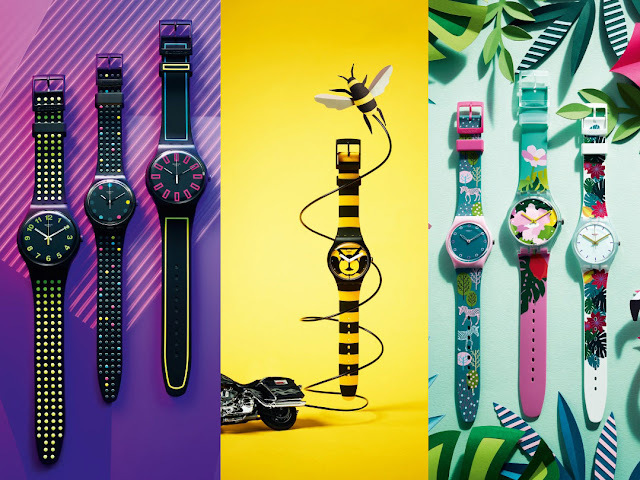 As for The Swatch Vibe, they have highlighted the sportive and colorful side of Swatch. Flashing neon straps and energetic glow-in-the-dark details, as well as powerful 3D elements are going to light up the night for you. The Mediterranean Views are set in the scene of summer with easy, breezy weather where the Mediterranean meats the sky. From the straps to the dial, all it speaks is Summer ! Aside from these three collection, Swatch has also brought back the classics, The X-Vibe. This collection revisited the iconic Swatch models with a statement X on the dial and added a twist of bold colors to it, making it classic and fun.